Surprise! Did you see that coming? Of course not, because they are Raven Guard, covert warfare specialists… I don’t usually share my Raven Guard on the blog because they are my 'gaming army’ I paint them cleanly but simply. 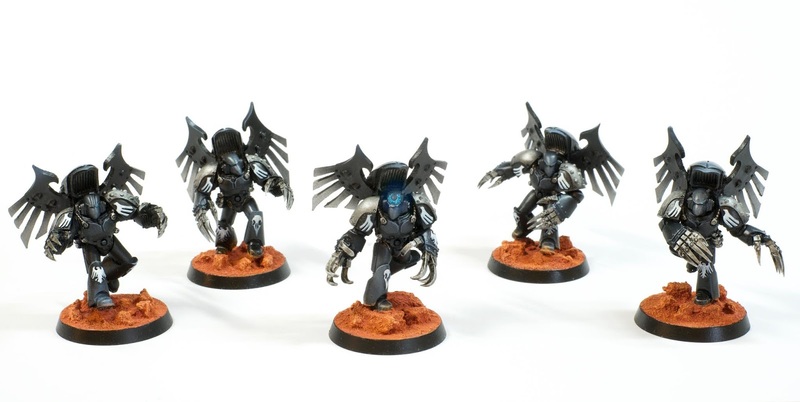 I do however love the Dark Fury assault squad from Forge World which I use as Vanguard Veterans in games. I was pleased with how they came out when I painted them so I thought I would share them with you.